Dr. Blane Harvey is an Assistant Professor in the Department of Integrated Studies in Education at McGill University. 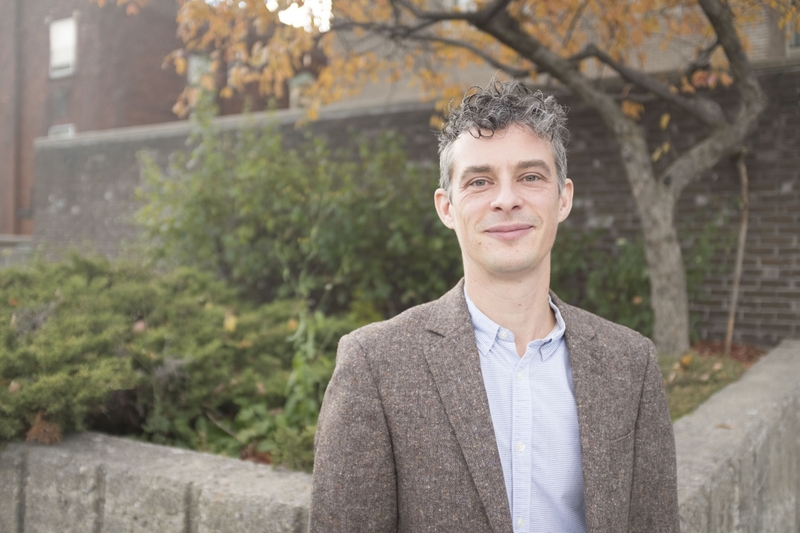 Dr. Harvey’s research focuses on how climate change knowledge is produced, validated, and communicated, and how facilitated learning and knowledge sharing can support action on climate change. 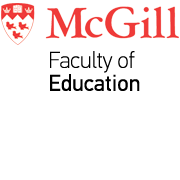 He is also an Associate Member of the McGill School of Environment and an Affiliate Member of the McGill Institute of for the Study of International Development. The Office of Sustainability spoke to Dr. Harvey about his research interests, past experience, and thoughts on the state of climate change education today. What inspired your interest in understanding climate change knowledge and sustainability leadership? For my PhD studies and the first few years of my career my work studied the impacts of climate change in West Africa. One of the things I noticed from working alongside people who held traditional knowledge, such as small-scale farmers, was just how disconnected their knowledge and experience was from what scientists were looking at in terms of the impacts of climate change. I saw scientists who were disinterested in the knowledge of communities, and at the same time, communities unable or unwilling to take up researchers’ recommendations. To me, this demonstrated how tackling complex problems like climate change requires better ways of bringing different types of knowledges together, to acknowledge that both scientific and experiential knowledges have value, and to understand why particular types of knowledge are being marginalized. A few years later, while working at a funding agency developing research programs on climate change, and I saw how the same barriers also exist in our universities. We’re still not very good at working across the boundaries between our disciplines, between the natural and social sciences, between theoretical and practical responses, etc., and that really concerns me. My interest in leadership builds on this concern. We need leadership within our universities and our communities, that can help bring this range of experience together and stimulate conversations across boundaries. Recognizing and promoting the diversity of knowledge that’s available to help us answer really complex challenges like climate change is a leadership challenge. It means challenging our own biases, creating spaces that are genuinely inclusive, and looking at the ways our existing systems might create barriers or disincentives to collaboration. For example, do we do enough to encourage students to collaborate across faculties? Do graduate students and faculty get recognized for publishing outside of their primary disciplines? Addressing these kinds of issues where they arise can make a difference. Your research seeks to understand one of today’s greatest challenges, climate change. As a teacher and a researcher, what do you see as the role of education in creating a sense of agency and empowerment for the next generation of sustainability leaders? In my work, I’ve been looking at how environmental and sustainability education helps us move towards a bigger system change. Here are a few things we should be focusing on right now: First, we need to move beyond a focus on literacy and understanding of climate change to actually building people’s courage and creativity to act on it. Second, we need to focus on more than just individual behavioral changes like recycling or eating less meat. These are important but, with younger learners, we often overlook teaching about the importance of changes to our wider systems, networks and communities like sustainable infrastructure and circular economies. The latest report from the Intergovernmental Panel on Climate Change (IPCC) tells us just how urgently we need to move towards pretty fundamental transformations in our economy, infrastructure and more. While education is important, changing one mind at a time is not going to be enough to confront the urgency of the climate challenge we face today. Finally, we need to look beyond technical fixes and seeing climate change as solely a science or engineering problem but instead to recognize it as an issue of ethics and values. Following the release of the most recent IPCC report on global warming (Global Warming of 1.5 ºC) this fall, do you see any need for changes in the current Canadian mainstream model of teaching and communicating the subject? The key message in the report, in my mind, is the need to act now. It tells us we have a little over a decade to take major action, so this is not something for future generations to address, but something today’s McGill students will have to face in their lifetimes. In my mind, Canada has been far too ambivalent about the impacts of climate change and the ways we’re contributing to it. By continuing to invest in major infrastructure projects like pipelines in Canada, we’re locking ourselves into a carbon intensive future that we’ll be committed to for decades to come. We’re doing this at the same time as the world is recognizing how important it is to move towards low-carbon development pathways. This is the problem. Our education and economic systems, and perhaps most importantly, our national conversation around this issue need to evolve. At the moment, the conversation is so focused on how action on climate change threatens our current economic systems that we’re failing to look at how acting now offers us the opportunity to move toward a more modern, cleaner, and more inclusive Canada. We also need to think of climate action as a matter of safeguarding the natural and cultural heritage that Canadians are so proud of, whether it’s our parks, our wildlife, the livelihoods and traditions of Northern communities, or one of the many other parts of our heritage that is linked to systems and regions already under threat in Canada. Our education systems should provide students with the opportunity to explore what this kind of deep transformation would look like, providing them with creative spaces to think about the alternatives, and helping them develop the competencies and values that they need to live within this reimagined system. At the moment, we’re not doing that. Climate and sustainability have a very limited presence in the Quebec Educational Program (QEP), nor do they feature as required learning for teacher preparation. It’s not central enough to what we talk about every day, and that needs to change. Can you tell me more about your current projects? Which are you most excited about? What are some major findings? Let me mention two projects I’m working on that are interesting to me. They’re both quite new so findings are still emerging. The first one is happening in collaboration with three international research programs on the impacts of climate change in developing countries. My team is working with these programs to study how we can improve knowledge co-production within transdisciplinary collaborations. For example, in these programs you might have a local community development NGO working with a team of climate scientists and with a gender expert. So how can we create spaces where people from these very different perspectives are learning from one another and building knowledge that makes the most of what each partner’s strengths? And to make it even more challenging, how can we do that when the partners are based in different countries? Our research is looking at three key factors: how to design partnerships; how to establish trust and shared leadership; and how to manage the power relations and differences in partners’ values and cultures once they start working together. A second project focuses more specifically on leadership development. We’ve been asking: What kinds of skills, capacities, or dispositions are needed for new leaders to tackle complex and uncertain challenges like climate change? And, are we doing the right things to help young scholars and activists develop them? What we’re doing in our research right now is reviewing what’s known to date about these questions, and particularly looking at how leadership capacities are being supported in developing countries. We’re doing this in partnership with the International Development Research Centre (IDRC) in Ottawa, who provide a lot of support to developing country researchers. What we’ve found is that there’s really not much known about these questions yet, particularly from developing countries. We do see that there’s still a really strong focus on leadership as a strategic and political practice, but very little on how leaders learn to engage with people’s emotional and human dimensions. When we talk about leadership to act on existential challenges like climate change, we need to connect with the heart, the head, and the hand. Thinking about new models of leadership development that connect people in this holistic way is something that we see as being critical, but still very new in many parts of the world.